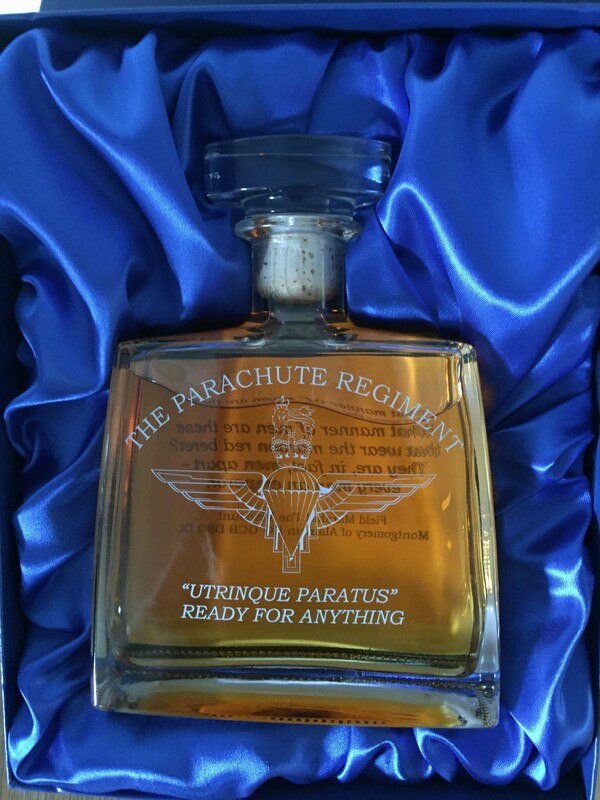 This “Jack” whisky decanter carries the engraved capbadge and motto of the Regiment–Utrinque paratus’ as well as Field marshal Montogomery’s famous tribute to the men of the maroon beret. This has been specially commissioned and cannot be bought in any shop. It comes filled with a traditional peat-smoked Islay Single Malt.